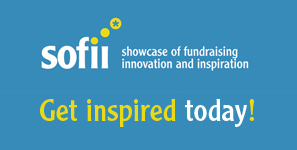 Most influential fundraisers: who influences you? Civil Society’s Fundraising magazine’s Most Influential poll recently opened and I was honored and humbled to receive a nod from UK fundraiser Mark Phillips of Bluefrog Communications. Tom Ahern: Aside from being the king of donor newsletters, Tom also simplifies donor centric copywriting for everyone. Even the novice writer will come away from any one of Tom’s books feeling empowered to communicate with their donors. Best enews. Mal Warwick: What fundraiser doesn’t love Mal Warwick, the original direct mail guru? Thanks to Revolution in the Mailbox my very first direct mail campaign (fresh out of nowhere) was a huge success. Katya Andresen: If you’re in nonprofit fundraising you are a marketer. If you’re not, you’re not doing your job effectively. You’ve got to study marketing and you’ve got to think of yourself as a marketer. Otherwise you’ll be coming out with the same boring, “nonprofit-speak” that every other organization is spewing. Katya is the queen of nonprofit marketing. John Haydon: Feeling intimidated by the intricacies of Facebook? John shows you how, step by step, to simplify the process of getting your nonprofit’s message out there via Facebook and he does it in an easy-to-understand way that even the most non-tech person can replicate. John Lepp: Can you combine both killer graphic design AND fantastic donor-centric copy? Yes! The founder of Agents of Good, John studied journalism before becoming Senior Art Director at Stephen Thomas, one of Canada’s top direct response and fundraising agencies. Lisa Sargent: Lisa’s Thank You letter clinics on SOFII redefined the way that I thought about the thank you letter, often an afterthought in many offices and relegated to a volunteer or an underpaid staff member. Set the stage for future gifts and subscribe to Lisa’s monthly Loyalty Letter. You’ll thank me. Jonathon Grapsas: Jonathon is Head of Fundraising Innovation of Pareto Fundraising. 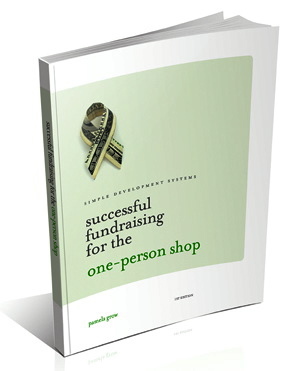 His blog combines examples of successful innovative fundraising with practical knowledge. Budgeting beyond spreadsheets is a must-read for every ED and DD. Kimberley MacKenzie: A smart, gracious lady with a gift for seeing both sides of the picture, Kimberley blogs about challenges in the development office and produces eloquent, donor-centric copy. Ken Burnett: Ken’s landmark book, Relationship Fundraising, gets to the crux of building lasting relationships with your supporters. One of the book’s highlights are the numerous donor profiles scattered throughout. 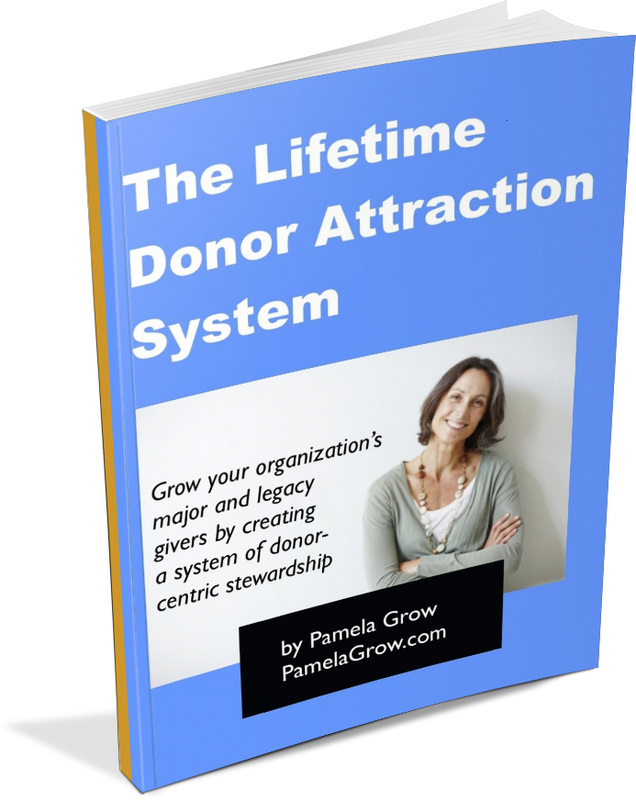 Have you completed your organization’s ideal donor profile? Harvey McKinnon: You want sustainable funding? My repeated mantra since starting this blog a little over two years ago: start your organization’s monthly giving campaign … start your organization’s monthly giving campaign … start your organization’s monthly giving campaign … Harvey, author of Hidden Gold, will get you started. Now for your take. Who has influenced YOU? *blushing* Pam, it’s an honor to be counted among a list of my fundraising heroes. Someone ought to get Mark (Phillips) on the list, even though he started it. Bluefrog/Queer Ideas consistently fabulous. And I would one mythical maven… the first lady of fundraising… the doyenne of development… SOFII! What a great list! And I love Lisa’s idea of dding SOFII to the list :-). Thanks for the plug, Pam! Congratulations!! We’ve all known you belong on the “Most Influential” list for the great work you do. That is quite a list. Thank you so much for including me. One of the very best parts about working in this sector is meeting other fundraising professionals who inspire you to be better, who motivate you to try harder and who catch you when you feel like you might be floundering a bit. You are such a colleague. So thank you! Now we really much try to have one of these chats in person one day. You and I are definitely cut from the same cloth Pamela! My list would look nearly the same as yours. I’ve been learning from Mal Warwick and Tom Ahern for many years and both have very positively impacted my career. hey Pam, YOU influence me! Bev Browning is an inspiration!